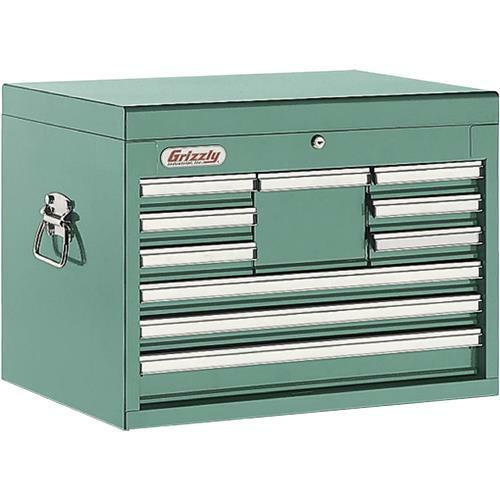 This Heavy-Duty 10 Drawer Full Depth Chest features an 18 Gauge steel body, 19 gauge steel top, bottom and drawers, quick release ball bearing slides, internal locking system and gas spring cylinder. Additional features include heavy-duty side handles, portable tool tray, protective drawer liners, powder coated paint and extruded aluminum drawer handles with PVC strips to label the contents of each drawer. 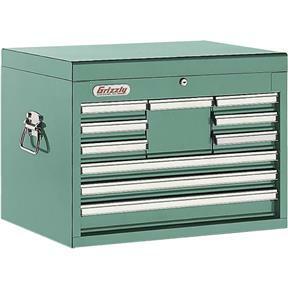 Cabinet measures: 26" W x 19" H x 17-7/8" D.